FELTING matters... : Merino Tops Fibre Packs… UPDATE! ...But I was ordering for the summer workshops, including the children's Fibre Days, plus all the Merino tops needed to make up packs. And some for me… It was just like Christmas and my birthday, which coincidently happened to be a couple of days ago. It's been a week of parcels arriving! 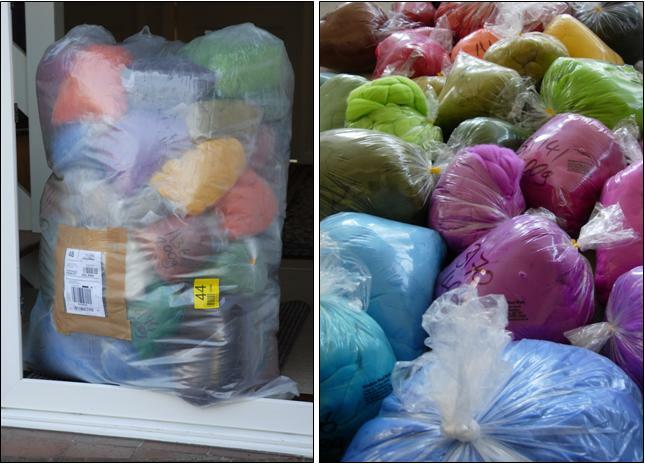 The original idea behind the packs was to be able to offer them at the workshops, enabling those who were keen, to continue making felt when they got home. Each pack contains enough coloured tops to make several sample pieces of flat felt (which can be made into a book cover or a purse). There's sufficent to make a bag or bowl, or lots of felt jewellery. I've had so many enquiries recently about the packs that I've decided to make them more widely available and sell them on-line. 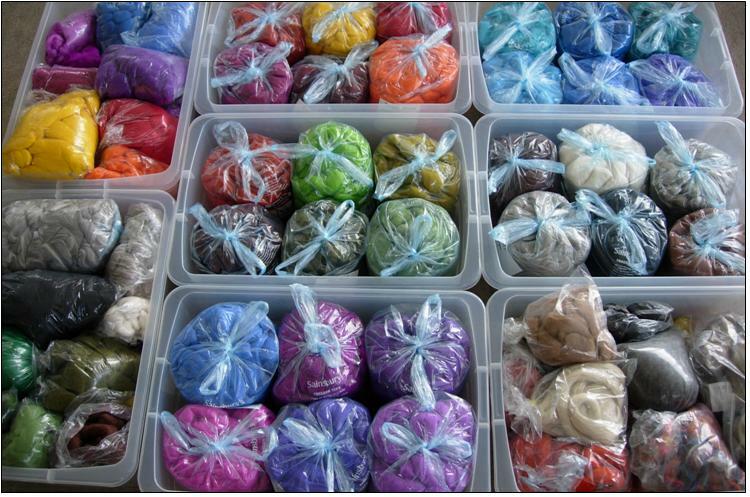 There are five packs with different colourways, as shown here : Pinks & Purples; Hot Reds & Oranges; Natural shades, including Blue Faced Leicester tops; Olive Greens & Browns and Aqua Blues & Lilacs. 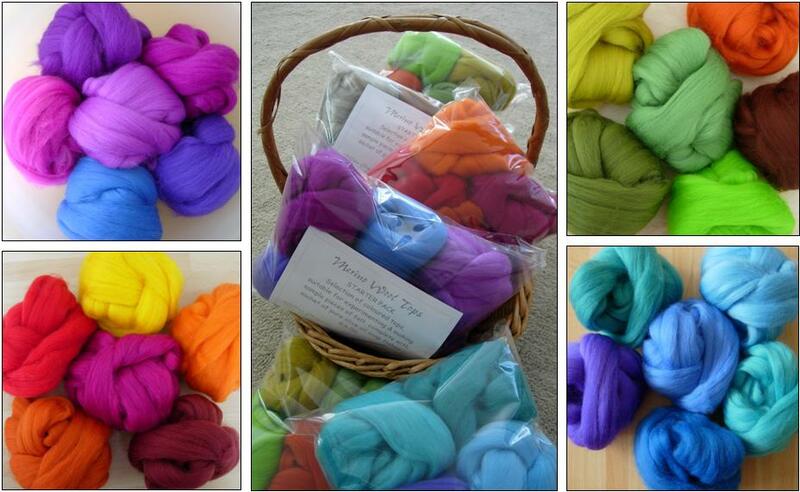 Each pack contains six different coloured lengths of Merino tops, each approx 36". Although the lengths are approximate the minimum weight of the total fibre is 100gms. There is also a 40gm sachet of grated olive oil soap in each pack. Everything you need to get going! Some people who are new to feltmaking ask about the Merino Tops. 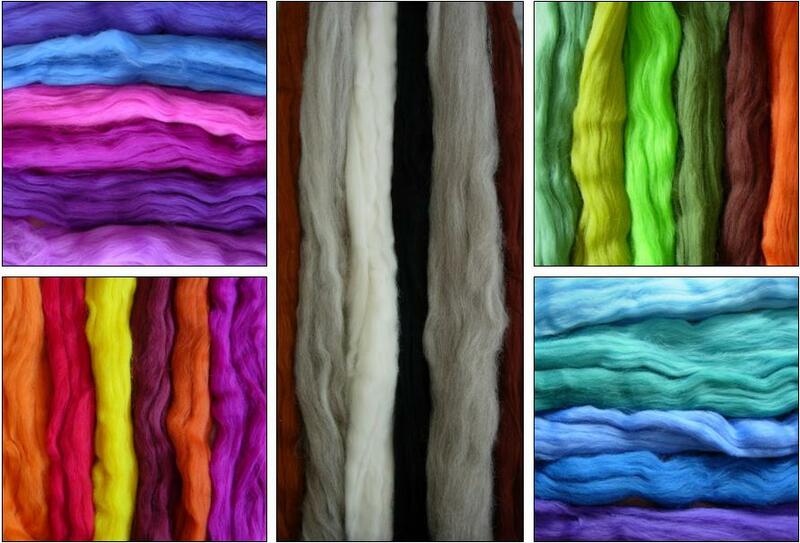 Merino wool is one of the best for beginners as it felts very easily and is available in a wide range of colours. 'Tops' is a manufacturing term, describing fleece that has been cleaned, carded & processed so that all the fibres lay in the same direction, in a continuous rope-thick length that can easily be pulled out in tufts.